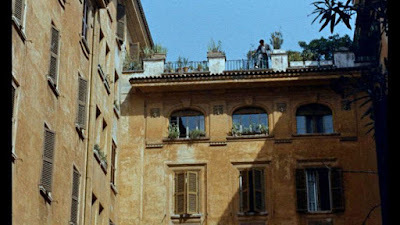 For over a decade, I've had a passion for film locations and film-related travel. Now I'd like to share this passion and its fruits through this blog. I've amassed vast image archives that still need to be converted into posts, and there are many new findings that are still waiting to be photographed, so please be patient. While some of these locations have been covered elsewhere, many others represent my own research and appear here for the first time. 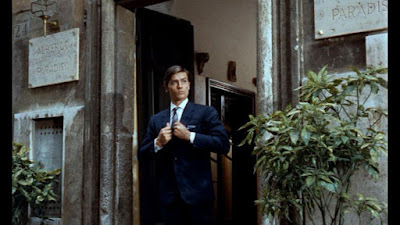 I hope you'll enjoy the site. Despite the title, most of the film was shot on the West Coast. 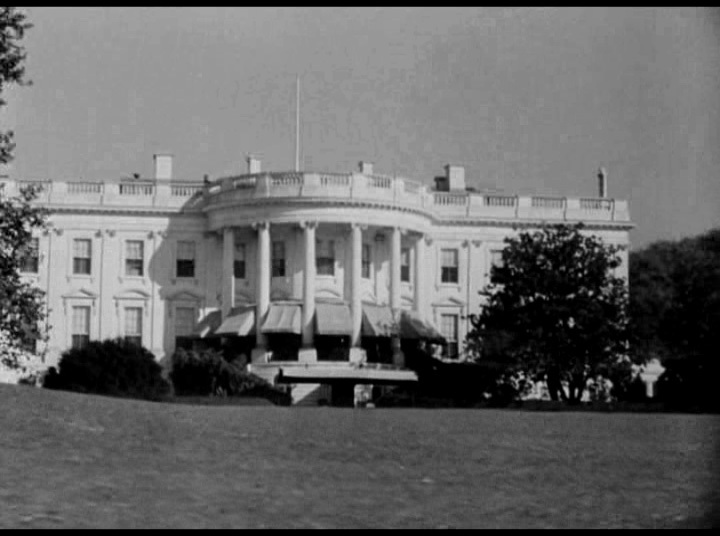 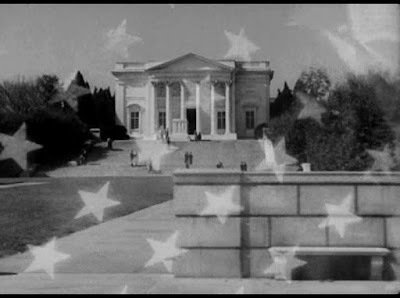 The Washington footage, with the exception of a couple of episodes, was provided by the second unit, and rear-projected on a Hollywood set. Capra was not allowed to film inside the U.S. Senate chamber at the Capitol, so it was meticulously reproduced in Hollywood. 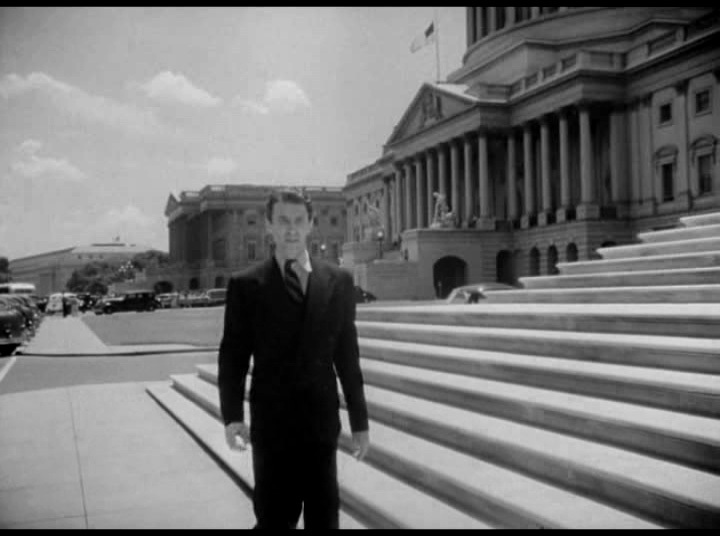 Jefferson Smith (James Stewart) arrives in Washington – Union Station, 701 1st Street NE, Washington DC. 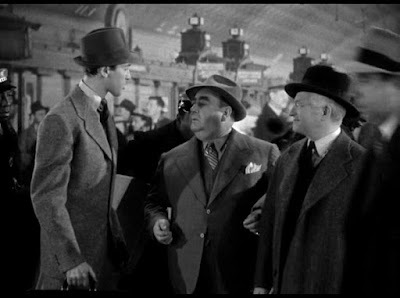 The film offers a rare glimpse of the original station, when up to 200,000 people were passing through it on a single day. 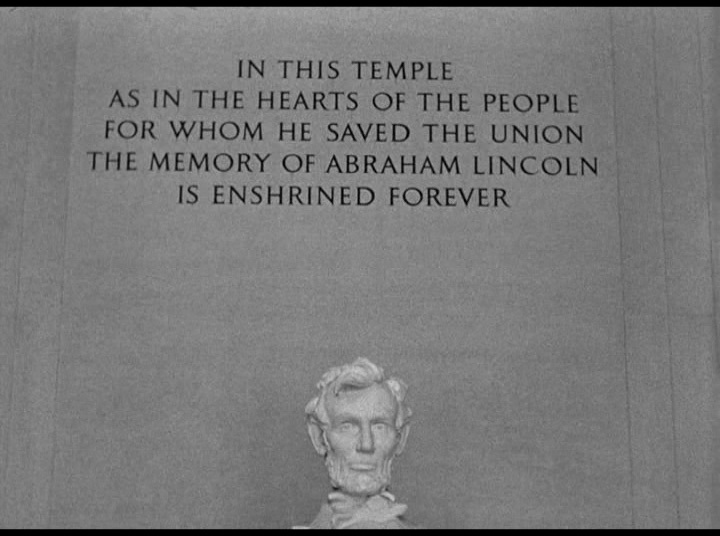 Union Station went into decline in the 1960s, and was repurposed into the National Visitor Center in the 1970s. 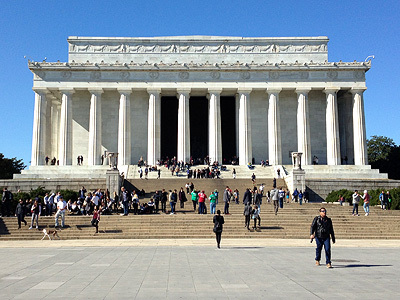 The center was never popular, and the deteriorating structure was declared unsafe and closed to the public in 1981. The same year, Congress decided to restore Union Station rather than demolishing it. 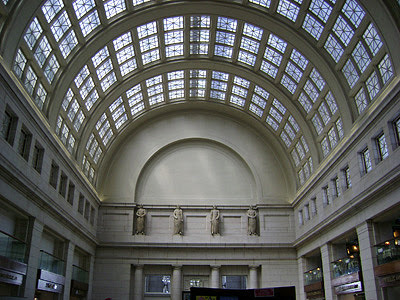 The station was closed for restoration for most of the decade and reopened in its present form in 1988. 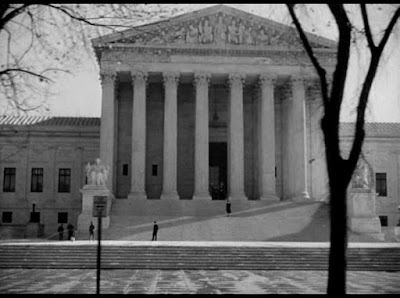 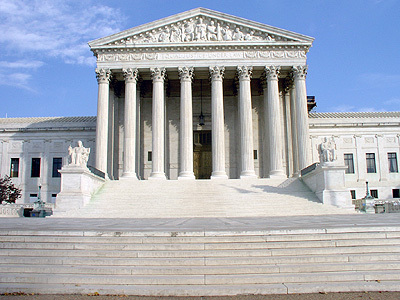 U.S. Supreme Court, 1 First Street NE, Washington, DC. 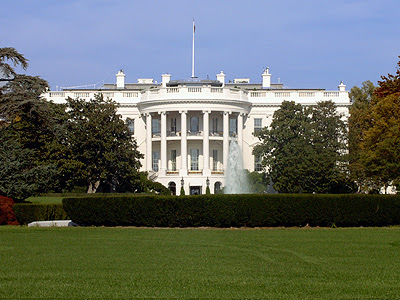 The White House, 1600 Pennsylvania Avenue NW, Washington, DC. 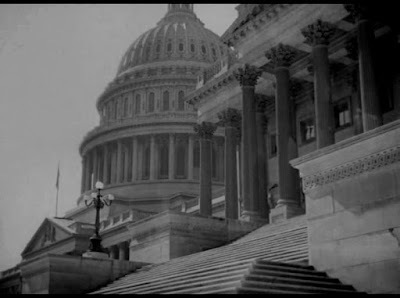 U.S. Capitol, East Capitol Street NE and 1st Street SE, Washington, DC. 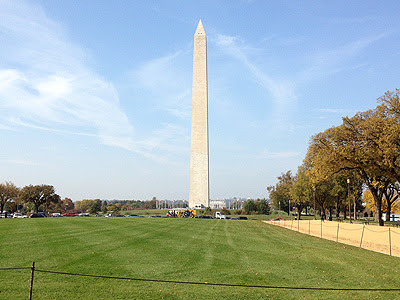 Washington Monument, National Mall, Washington, DC. Tomb of the Unknowns, Arlington National Cemetery, Arlington, Virginia. 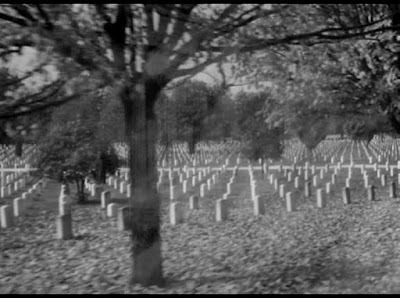 Arlington National Cemetery, Arlington, Virginia. Smith visits the Lincoln Memorial, Lincoln Memorial Circle SW, Washington, DC. 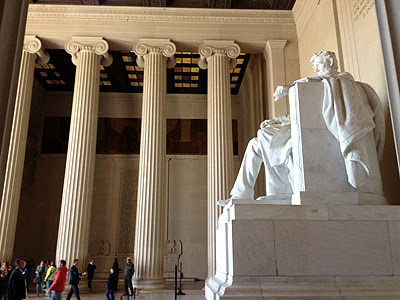 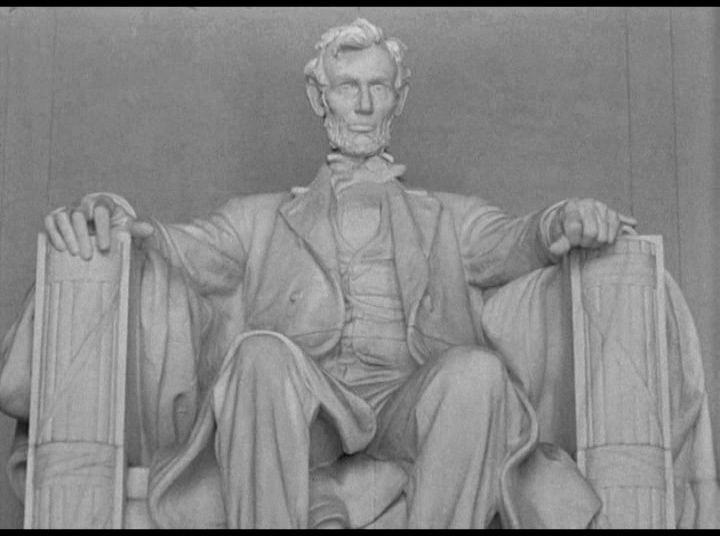 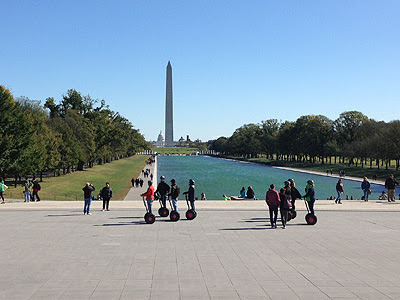 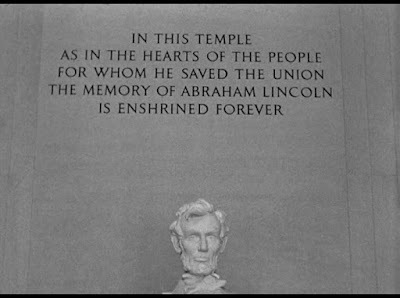 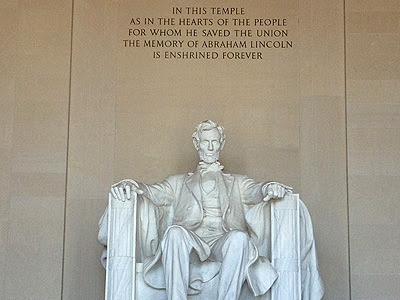 The National Park Service didn’t allow Capra to film inside the Memorial. 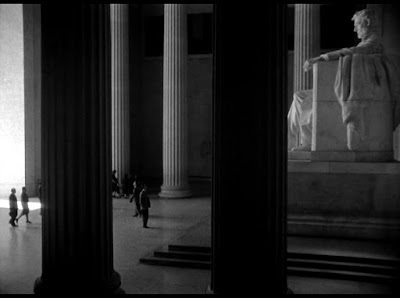 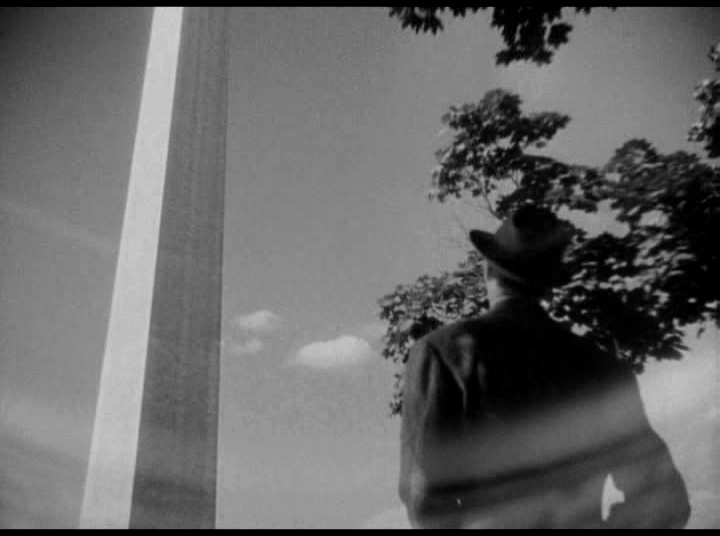 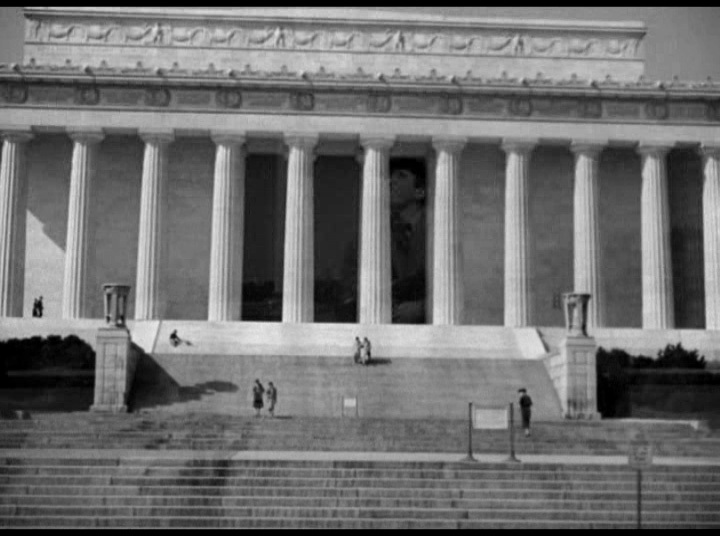 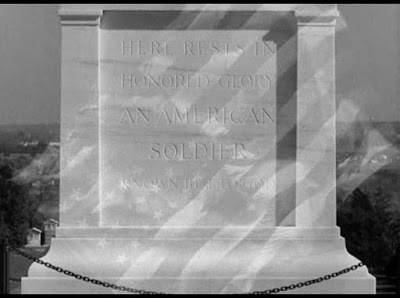 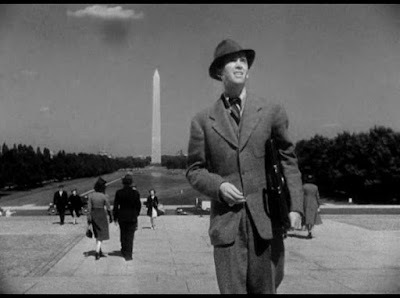 The director sent a big crew to a different site to distract the NPS, and then took James Stewart and a small crew with a hand-held camera into the Memorial to quietly film this scene. 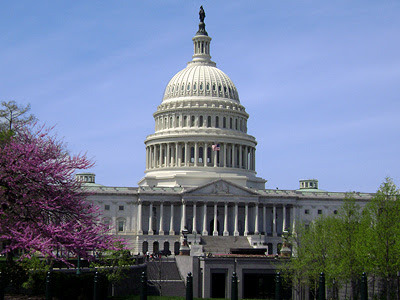 U.S. Capitol (east side), between Northwest and Southwest Drives, Washington, DC. National Press Club, National Press Building Leasing, 529 14th Street NW, Washington, DC. 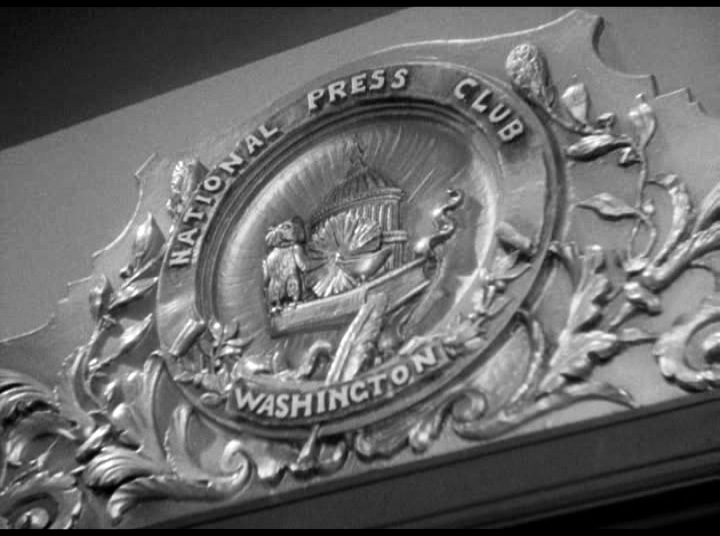 Although the Washington press corps was initially enthusiastic about the film, and even allowed Capra and his crew to reproduce the interior of the club in full detail, many DC reporters later took offense at the rather unflattering depiction of the press in the movie. 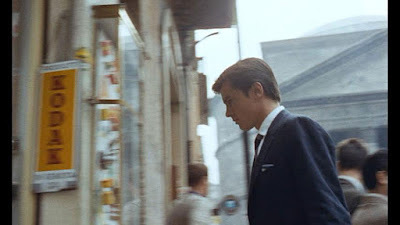 This is the first film adaptation of Patricia Highsmith's novel The Talented Mr. Ripley, also filmed under its original title by Anthony Minghella in 1999. 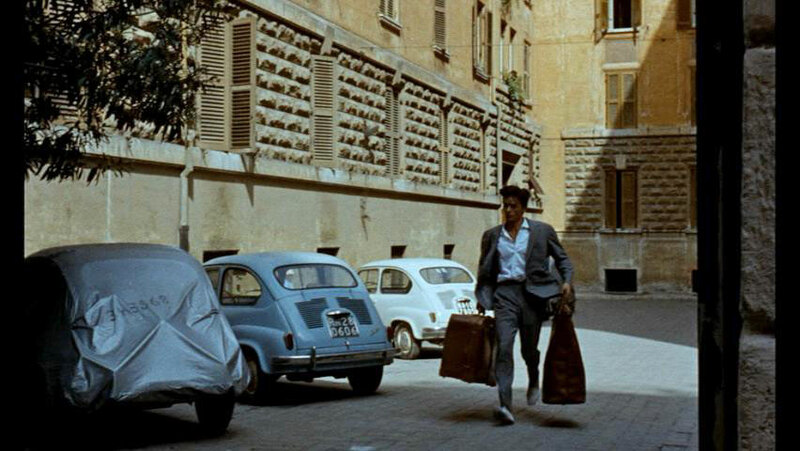 Unlike his successor, Clément didn't feel compelled to showcase Rome's usual tourist attractions. 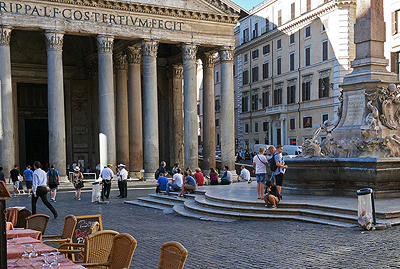 The exceptions are the Pantheon and the barely recognizable Piazza del Popolo. 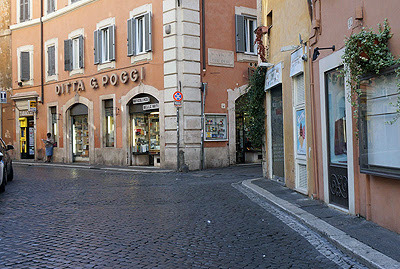 Many thanks to Lois for sharing her beautiful pictures with me. 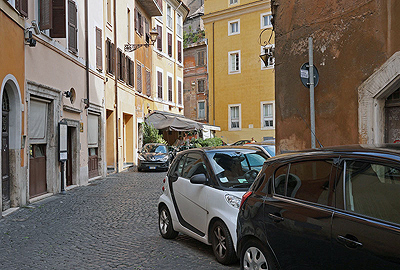 This only covers the Rome locations. 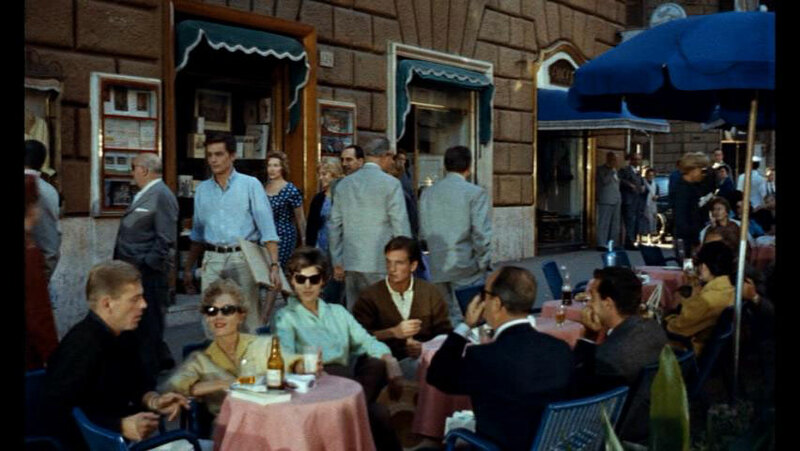 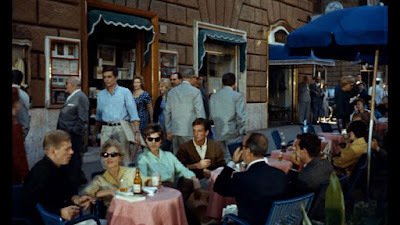 Philippe Greenleaf (Maurice Ronet) and Tom Ripley (Alain Delon) at a street cafe – Via Vittorio Veneto 118, Rome, Italy. 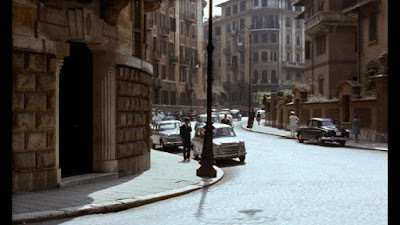 This location actually matches the related episode in Highsmith’s novel. 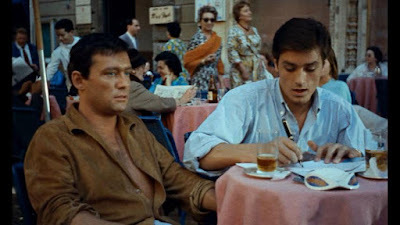 Later in the scene, Tom returns to the café with a book on Fra Angelico. 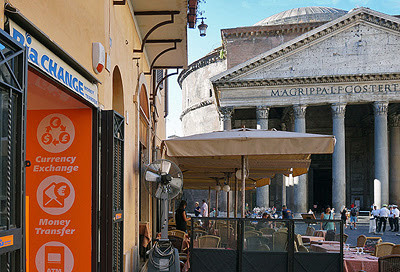 Philippe buys a cane from a blind man – Church of Santa Maria in Montesanto, Piazza del Popolo, Rome, Italy. 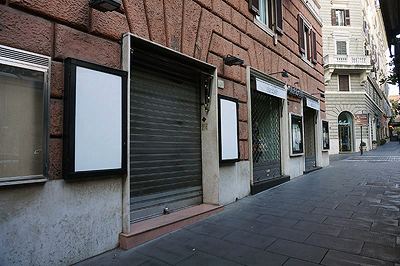 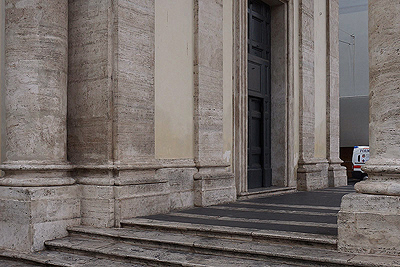 Philippe crosses the street pretending to be blind – Church of Santa Maria dei Miracoli, Via del Corso, Rome, Italy. 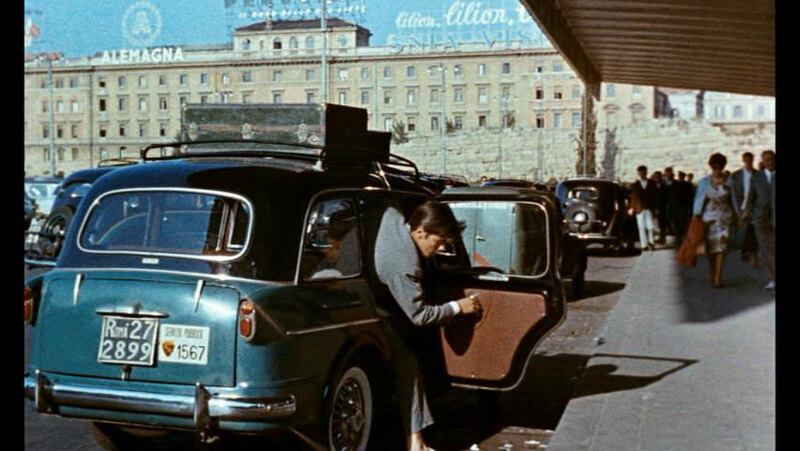 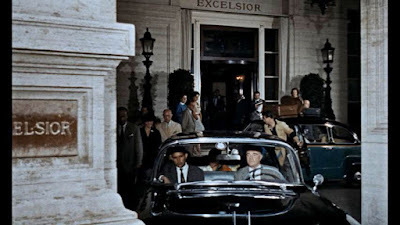 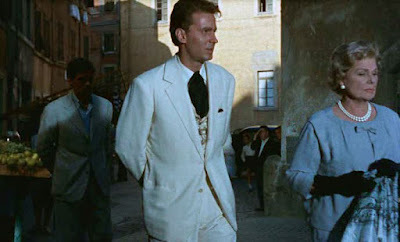 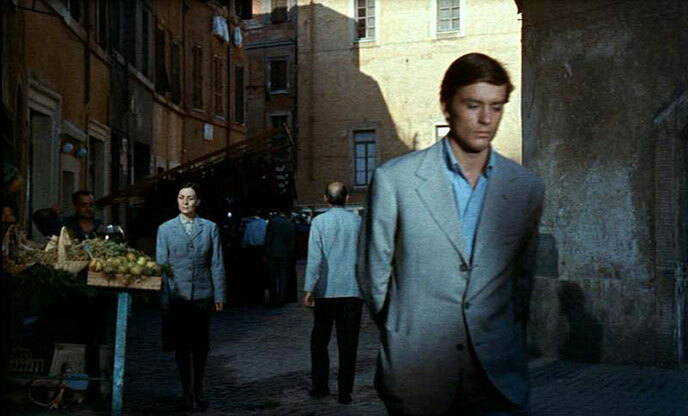 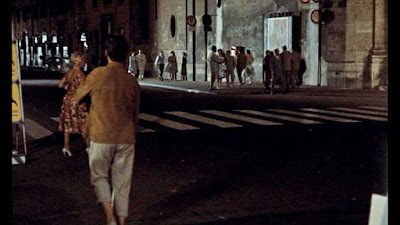 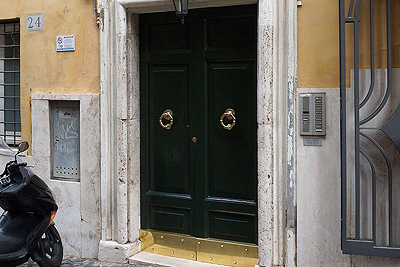 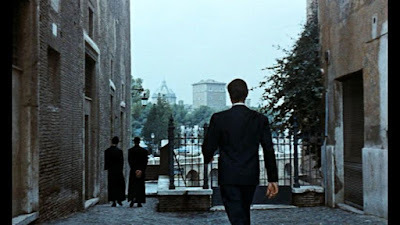 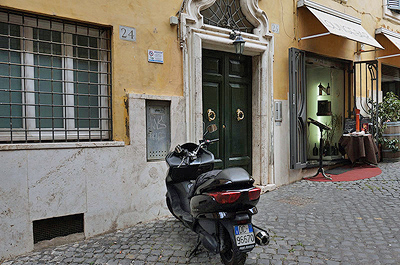 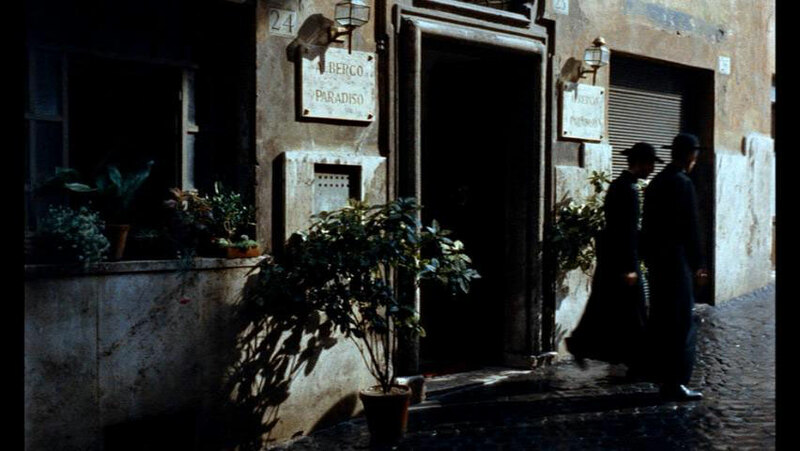 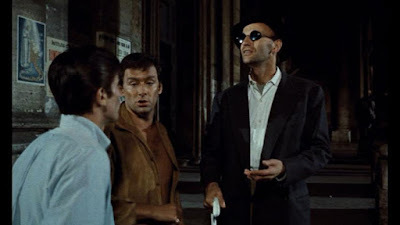 Tom moves into a small hotel after Philippe’s murder – Via Campo Carleo 24, Rome, Italy. 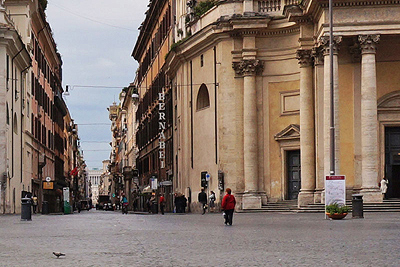 Tom going out – Piazza del Grillo, Rome, Italy. 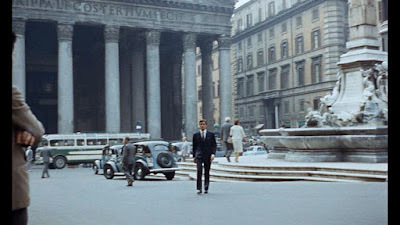 Tom crossing the Piazza della Rotonda with the Pantheon in the background, Rome, Italy. The piazza appeared more spectacularly in Peter Greenaway's The Belly of an Architect. 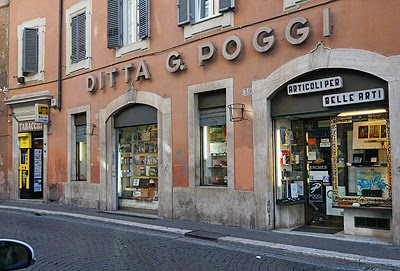 Tom goes into a Kodak shop – Piazza della Rotonda 66, Rome, Italy. 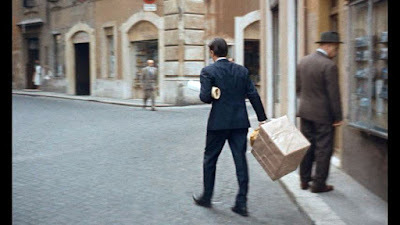 Tom buys more things necessary for his transformation into Philippe – Via di Santa Caterina da Siena 43, Rome, Italy. 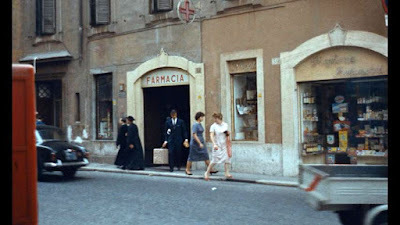 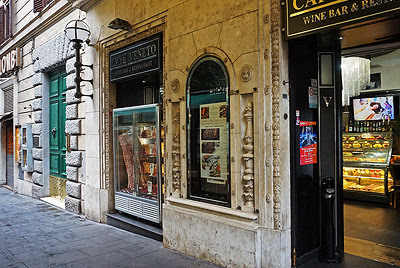 The pharmacy – Via di Piè di Marmo 38, Rome, Italy. 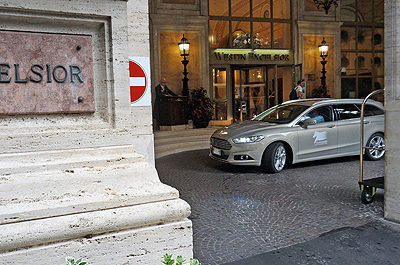 Tom moves into a posh hotel – Westin Excelsior, Via Vittorio Veneto 125, Rome, Italy. 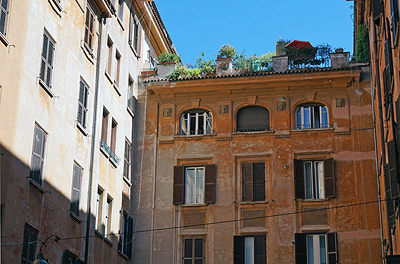 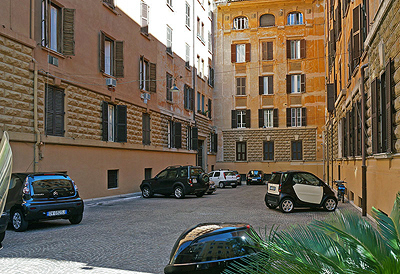 Tom rents an apartment – Via Savoia 90, Rome, Italy. 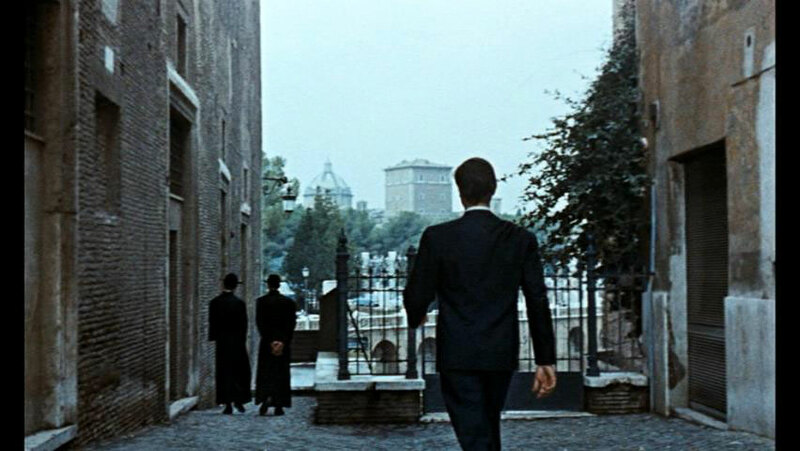 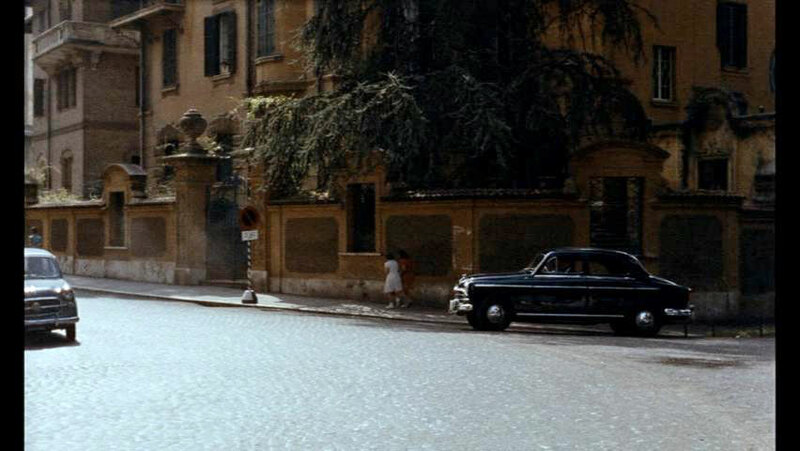 It’s in the vicinity of the Porta Pinciana and Villa Borghese as in the novel. 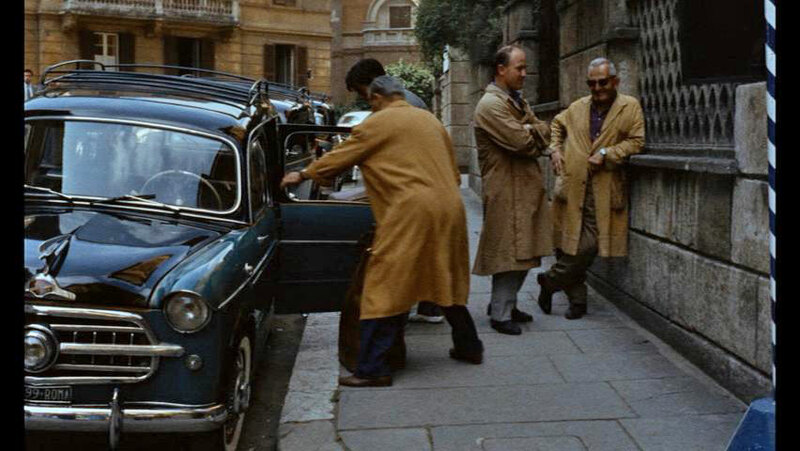 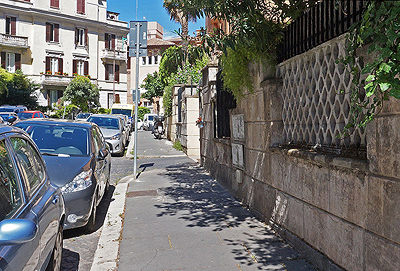 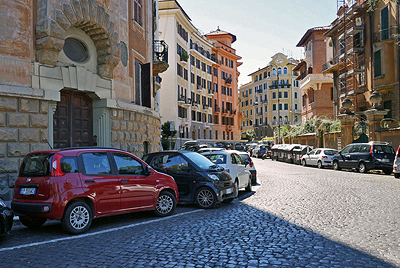 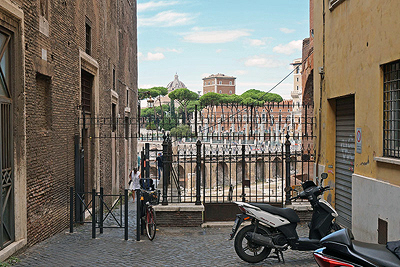 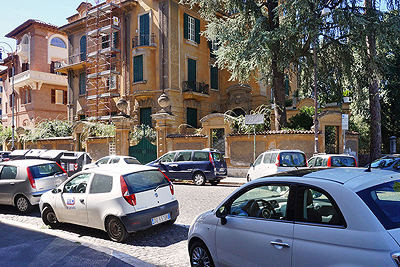 Tom parks his car across the street – Via Savoia 51, Rome, Italy. 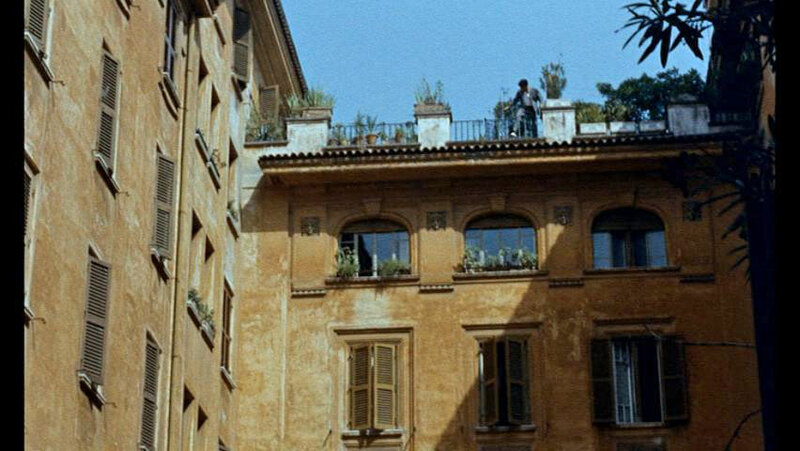 Tom flees his apartment as the police closes in on him – Via Civitavecchia 3, Rome, Italy. 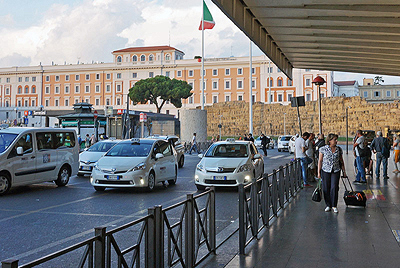 Tom hails a cab – Via Civitavecchia 3, Rome, Italy. Tom goes to the American Express office – Stazione Termini, Piazza dei Cinquecento, Rome, Italy. Tom leaving the police station – Largo del Pallaro at Via di Grotta Pinta, Rome, Italy.